When you are feeling anxiety or panic in the moment, you need a tool to fall back on. Maybe all the tips and tools you've learned about aren't helping, and you need something to stop the cycle of anxiety from getting out of control. 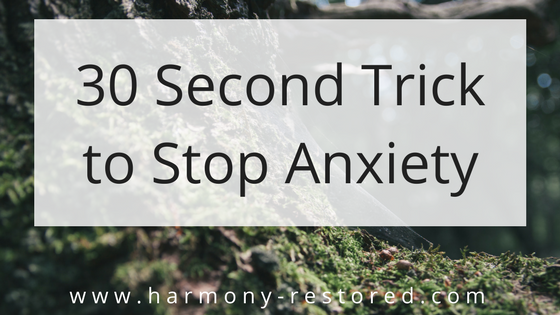 Use this 30 second trick anytime fear, anxiety, panic, or any other negative emotion hits.